Congratulations to Kay, who writes' Kay's Kreationz! 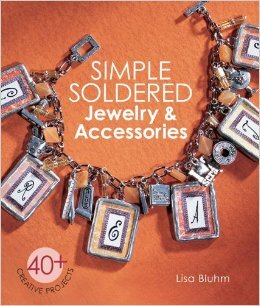 She just won a copy of Lisa Bluhm's book Simple Soldered Jewelry & Accessories. Yay! Thanks so much. I can't wait to get this book and try out some of the projects. Congrats Kay! I'm looking forward to seeing what you create!